Jordan is passionate about teaching others to bake. She has taught regularly at The Cooking School at Jungle Jim’s International Market and Cooks’Wares in Cincinnati and Dayton. She also does private lessons and in-home cooking parties. Jordan’s classes are technique-driven and her most popular classes are an intensive pie-dough workshop, a caramel seminar, and classes focused on different desserts and baking traditions from around the world. Jordan believes that baking should be enjoyable and she teaches her students to stress less and have more fun while in the kitchen. Jordan trained at the University of Cincinnati and Midwest Culinary Institute and spent time working as a corporate chef at a Fortune 500 company. She has also worked as a restaurant consultant and food and beverage branding specialist working with brands such as the Cincinnati Bengals, Jim Beam, California Pizza Kitchen, and Kellogg’s. Jordan writes the culinary travel blog called The Hungry Traveler and contributes to several online food and travel publications. 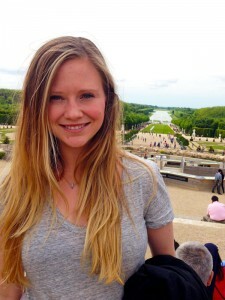 A seasoned traveler, Jordan has studied in France, Korea, China, and traveled extensively throughout North America, Southeast Asia, and Europe. Subscribe here to receive a monthly baking newsletter and cooking class updates!